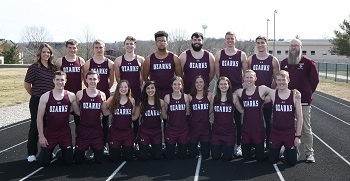 College of the Ozarks men’s and women’s track and field teams competed in the Darrel Gourley Open hosted by William Jewell College in Liberty, MO on Saturday, April 13th. The men’s team finished the day in 12th place of 18 teams. The women’s team finished 19th out of 20 teams. 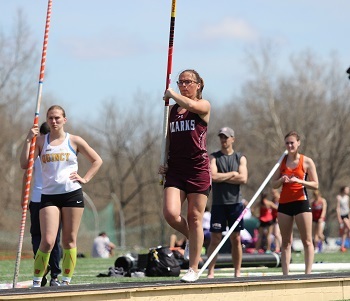 For the Lady Bobcats, Mikaila Livingston placed 3rd in the pole vault scoring six points for her team. The vault of 2.60 meters was a personal record for Livingston and qualified her for NCCAA Nationals. On the men’s side, six Bobcats finished in the top 10 as listed below. 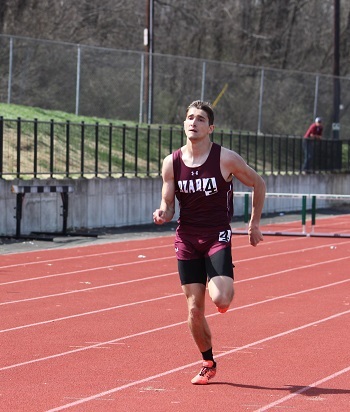 Most notably, Sam Scaggs took 2nd place in the 800 meters, qualifying for NCCAA Nationals. The Bobcats and Lady Bobcats go on the road for their final regular season meet on Friday, April 26th in Joplin, MO at Missouri Southern State University. For a complete list of results at the Darrel Gourley open, please click the links below. If you are interested in joining the Lady Bobcat Track team, please complete the Lady Bobcat Outdoor Track Questionnaire.